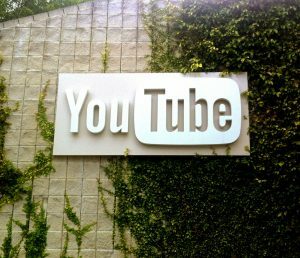 YouTube Music, Google’s new, all-encompassing music streaming service, and YouTube Premium (formerly known as YouTube Red) have officially launched in 17 countries. Both services are now available to all in the US, Australia, Austria, Canada, Finland, France, Germany, Ireland, Italy, Mexico, New Zealand, Norway, Russia, Spain, South Korea, Sweden, and the United Kingdom. Anyone who already has a Google Play Music subscription in the US, Australia, New Zealand, or Mexico will get access to YouTube Premium as part of their membership. Those with Google Play Music subscriptions in other countries will get access to YouTube Music Premium at their current price as it becomes available. YouTube Music offers millions of official versions of songs along with thousands of playlists, live performances, tracks from unsigned artists, and more. Its mobile app and new desktop interface are designed specifically for music discovery. The home screen will continually serve new recommendations and its intelligent search, powered by machine learning, is designed to help users find songs by lyrics and descriptions. YouTube Music comes with free and premium tiers. The free version is ad-supported, just like the current free version of YouTube. YouTube Music Premium, priced at $9.99 a month, is ad-free and allows for background listening (for audio tracks only) and downloads. A Family Plan is available for $14.99 in the U.S. and Canada, allowing five additional members of a household to join. YouTube Premium includes everything YouTube Music offers, plus background listening for videos and an ad-free experience across all content on YouTube. It also includes access to YouTube Originals, which Google says will expand in the future with “bigger original series and movies.” YouTube Premium costs $11.99 per month, with a Family Plan for $17.99. Revamped apps are now available for Android and iOS in local app stores. YouTube is offering a limited promotion where you can try out YouTube Music for free for three months.